I recently received a question from a blog subscriber, “If I did one single thing to improve my marketing what would it be?” My answer: focus on the client. Get excruciatingly clear on who your best clients are and why. Create an ideal client profile so that you can easily recognize potential clients who may fit into this category, and so that you can describe your ideal clients succinctly and consistently. This will help you educate your referral sources and help them to spot your ideal clients so that they immediately know who to refer to you. Too many lawyers make the mistake of trying to target too broad an audience for fear of turning business away. But instead of attracting more clients, a poorly identified ideal client results in a watered down message that loses its impact and fails to elicit a response. It is only when you have a good picture of who your ideal clients are that you can move forward to determine what is important to them, where to find them, how to attract them, how best to serve them, what processes and procedures need to be in place, which employees will work best with those clients, and more. Review your past and present client lists. 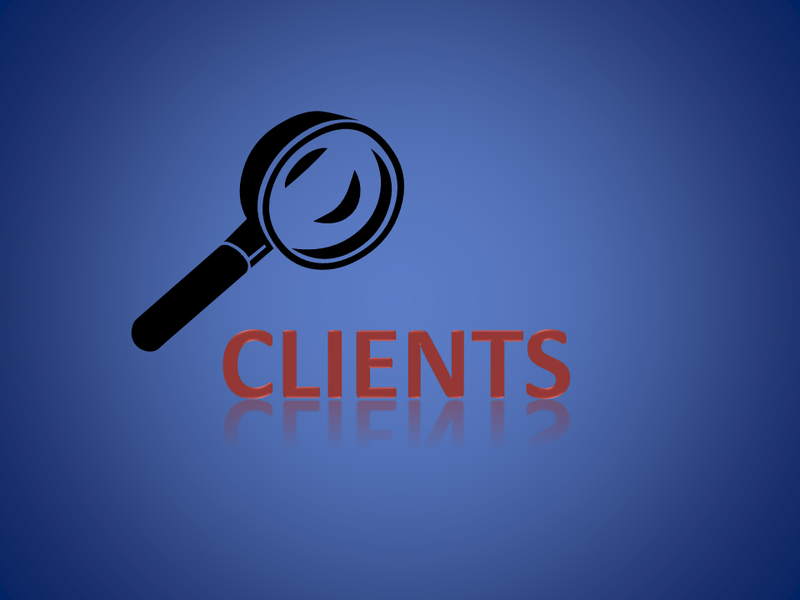 Which clients did you work best with? Which were the most lucrative for the firm? Which were the best sources of additional business or referrals? Which clients were the most difficult? Which ones failed to pay or did not respect your advice? Which ones brought you matters that didn’t fit into your strengths? Make a list of the characteristics of good and bad clients. The value of a client isn’t measured solely by the size of the case or the size of your fee. Valuable clients can be those who have realistic expectations, respect your advice or want the best service. Perhaps your ideal client is one who works with you on a case – or perhaps it’s just the opposite. Maybe you work best with clients who leave you alone to work your magic. Maybe your best clients are simply those who will be ‘raving fans’ and generate lots of referrals for your practice. Once you have a preliminary idea of what a ‘high value’ client means to you, they will be easier to spot. This takes some in-depth work, but it is well worth it. When you become skilled at defining and identifying high-value clients, you waste less time and energy on lower value clients that sap your energy or cost you money and time. Listen to how most lawyers talk about their practices (or read their websites, social media posts and other marketing materials): it’s all about the lawyer, rather than being about the client. This is a mistake. Clients don’t care about you – they care about themselves and their problems. Why not change the focus of your marketing to be more in alignment with the clients’ interests? Your marketing message should create an association for the people you are speaking to – either so that they identify themselves as your ideal clients or so that they immediately think of someone else who needs your services. Instead of focusing your marketing message on you, focus on who you serve and what they struggle with. Think of your marketing message as a way of calling the name of your potential clients. Rather than making a general statement (“Hey, you!”), identifying someone by name (“Hey, Bob!”) will get their attention much easier. Bob is tuned into that information because it’s very specific to him. You want your marketing to do the same for your clients. You want them to think you’re talking directly to them – because you are. In order to call your clients by name, you need to be intimately familiar with who those clients are. The better you know the clients you’re seeking to attract, the better your marketing efforts will be. Creating a client profile is a good way to develop that knowledge. Keep in mind that whether your practice focuses on individuals or businesses, all of your clients are people. If you have a business to business practice, you’ll want to focus on the decision-makers – the human beings you need to connect with in order to get their work. When creating your ideal client profile, remember that you may have a different “ideal client” for different for different areas of practice or services you provide. Dig deep. Some areas to explore include the four Ps: Psychographics, Patterns for choosing legal services, client Problems, and your Positioning. Psychographics are one of the most powerful ways to connect with your clients, and also one of the most frequently overlooked. You may find that your clients are actually very different demographically, but psychographically, they have a very similar profile. Psychographics, while less tangible, are much more accurate in predicting which people or businesses will relate best to your particular message, method or solution. Psychographics include things like your client’s mission, philosophy or values, their reputation in the industry or community, their management or communication style, integrity or litigation history. For example, do you prefer clients who are more collaborative and settlement-oriented or those who want to fight or pursue litigation regardless of the cost? Psychographics include any belief or value that your clients strongly identify with – and they don’t necessarily have to relate directly to their business or to their legal matter. 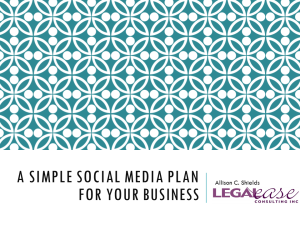 An important part of profiling your ideal client is determining how they choose legal services. 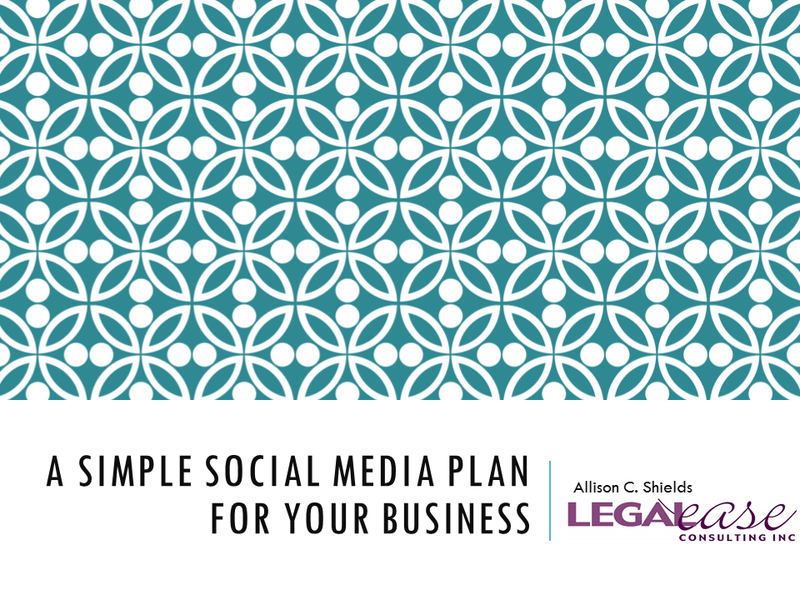 Knowing that your clients are more likely to make the decision to hire a lawyer at certain times of the year, as the result of specific triggering events, or upon receipt of specific types of information can help you plan your services and your marketing strategy. Learn why your clients hire you, what kinds of service providers they prefer and what similar services they have used, among other issues. One of the most effective ways to connect with clients is by identifying what problems they face. Everyone wants their problems to be solved, and if you can identify what the client perceives their problem to be (as opposed to what you think their problem is, or what lawyers generally think the problem is), you’ll get the potential client’s attention quickly – and start gaining their trust. Think about not only the problems themselves, but also about the symptoms of the problems that your clients commonly experience, and how clients typically describe them. Use the language your clients use when crafting your marketing messages, writing copy for your website, posting on social media, or discussing what you do at a cocktail party. Put yourself in your clients’ shoes. If you can do that, your marketing will automatically stand out from the rest of the lawyers in your area and it will help you build relationships. What is it that your clients want or need? How do they talk about it? Is there an underlying result your clients wish to achieve, even if they don’t articulate it? What are the underlying emotions your clients typically experience when facing the kinds of legal problems you solve? Once you’ve analyzed the problems, ascertained the values and goals, and determined when and how your ideal clients choose legal services, you need to get your message in front of the right people, whether they are the clients themselves, their trusted advisors, or other referral sources. Your client profile should help you to position yourself in front of the right people if it includes an analysis of the places your ideal clients and referral sources gather. What do your ideal clients read? What do they watch or listen to? Who influences them? What kinds of advisors do they seek? Which websites do they visit? Do they participate in social media? Where and how? Are they members of specific groups on LinkedIn, for example? 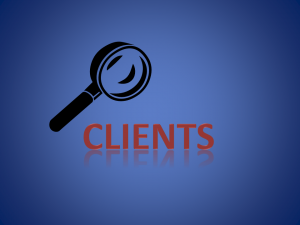 Where and how do your ideal clients seek out information? What professional associations do they belong to? What types of events do they attend? What causes do they care about? If you don’t already know the answers to these questions, ask your best clients, or do some research on your existing clients or on individuals in your target market. The client profile will help you to focus your marketing efforts, plan effective means of reaching your ideal clients, and develop methods to serve them better. The insight it provides can be invaluable for the future of your practice. But don’t create your ideal client profile and then put it away – it is important to revisit it regularly to keep it up to date. Every day it seems there’s a new tool or a new piece of technology that’s being touted as the ‘next great thing.’ Is Slideshare really worth a look for lawyers? A couple of months ago, I did a post on content marketing on the Legal Ease blog which made the point that there is an increased demand for content in part because of the huge SEO (search engine optimization) boost it brings. That means there will be lots of people out there selling content, and much of it will be of poor quality and may not bring the desired results. (This is especially dangerous for lawyers who have specific ethical rules that must be followed – but that’s a topic for another day.) And you’ve got to keep it interesting, with different kinds of content that engages audiences in different ways. This is where Slideshare might help. Slideshare makes it easy to share or embed your presentations into a blog post, website, etc. You can save or share presentations by others – another great content and educational resource! If you want to see my fledgling Slideshare page, you can find it here.